1 Commercial Real Estate & Properties in Bellingen are listed in 1 categories. We have 1 Retail ShopsSale . Coffs Coast, Belligen and Mid North Coast tourist destination. On the main arterial road Waterfall Way which is the main tourist drive to Dorrigo, Armidale and New England. Tenancy reflects; restaurant, function centre & area and specialty craft shops in an old world atmosphere. Huge upside/potential for growth and development. 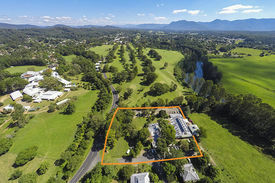 Location is very attractive with access close to the main arterial road of Bellingen; an area that has grown in tourism and craft based activities over time. Additional key features of this investment include: In excess of 5000sqm of land Rental income with upside for growth and new direction Hospitality, tourism and retail services Coffs Coast, Bellingen and regional tourist Destination For further details contact exclusive sales executives; Jason Burnett M: 0419 442 788 P: (02) 6659 9888 E: jason@theedgecoffsharbour.com.au or Kel Gibson M: 0407 665 360 P: (02) 6659 9888 E: kel@theedgecommercial.com.au or Denis Gleeson M: 0417 414 033 P: (02) 6659 9888 E: denis@theedgecommercial.com.au The Edge Commercial...your local commercial, industrial and retail property and business sales experts.